IMU CET 2019 Application Form has been released. The examination will be organized by the Indian Maritime University (IMU). 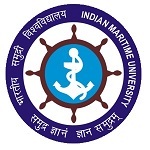 Indian Maritime University Common Entrance Test (IMU CET) is all India level examination. This university offers various UG, PG, PG diploma & research courses in the field of marine engineering. Candidates can pursue B.Tech, B.Sc. M.Tech, BBA, M.Sc, MBA, etc courses at IMU campuses & its affiliated colleges. In this article, candidates can get detailed information about IMU CET 2019. IMU CET 2019 Application Form has been released from 1st April 2019. Check here for application form details. IMU CET 2019 Sample Papers has been released. Check here for sample papers. The university has released the application only through online mode. Candidates can fill the IMU CET 2019 online application form from 1st April 2019. The application fee is Rs. 1000 (General) & Rs. 700 (SC/ST category). Candidates can submit the fee through online (credit card/debit card) mode. Minimum Age: The minimum age limit should be 17 years as on 1st August 2019. Relaxation: There will be 5 years relaxation in maximum age limit for SC/ST category. B.Tech (Marine Engineering/ Naval Architecture and Ocean Engineering)/ B.Sc (Nautical Science/ Maritime Science) Passed 10+2/equivalent examination with 60% marks (PCM) & 50% marks (English) in class 10th/12th. B.Sc (PCM)/B.Sc (Electronics with Physics as individual subject in one of the years) with marks not less than 60% marks. Passed BE/B.Tech with minimum 50% marks. Note: English Marks are to be 50% or more in any one of the above examination. M.Tech (Marine Technology and Management) BE/B.Tech in Marine Engineering/Mechanical Engineering/Naval Architecture with at least 60% marks. Associate Member of Institution of Engineers Part A and B in Mechanical Engineering with at least 60% marks (by examination). Note: Candidates with prescribed GATE/GRE Scores are exempted from IMU’s CET. M.Tech (Naval Architecture and Ocean Engineering/Dredging and Harbour Engineering) Passed Engineering Graduate in Mechanical/ Civil/ Marine /Naval Architecture or equivalent with 60% aggregate. MBA (Port & Shipping Management/International Transportation Logistics Management) Passed bachelor’s degree in any discipline with the minimum of 50% marks & 50% marks (English) in class 10th/12th/UG degree. Note: For SC/ST category, there will be 5% relaxation in eligibility marks, it will not apply to English marks. Appearing Candidates can also apply but they qualify the exam before 31st May 2019. Candidates should be medically fit & meet the medical requirements as specified by DGS guidelines. Candidates have a good binocular vision. The vision should be 6/6 (normal) in each eye separately. For B. Tech (Marine Engineering), the vision should be unaided 0.5 (6/12) in each eye or 0.67 (6/9) in the better eye and 0.33 (6/18) in the other eye. Number of Questions: In the examination, total 200 questions (for all UG) & total 120 questions (for MBA/M.Sc/M.Tech) will be asked. Type of Questions: The questions will be multiple choice types. Marking Scheme: For the correct answer, one mark will be allotted to the candidates. Negative Marking: There will be no negative marking for the wrong answer. The IMU CET 2019 syllabus for UG courses is consisting of English, General Aptitude, Physics, Chemistry, and Mathematics at Plus 2 level. In the MBA & M.Sc examination, the questions will be asked from Quantitative ability, Data interpretation, Verbal ability and Logical Reasoning. For M.Tech course, the syllabus will be comprised of English, Mathematics and one of Mechanical Engineering/Naval Architecture/Marine Engineering/Civil Engineering. Question: How can I fill the application form? Answer: The application form is available only through online mode. Question: Can i get the application from IMU university? Answer: No. The application only available through online mode. Question: Students, those result awaiting can also apply? Answer: Yes. But they should appear in the qualifying examination before 31st May 2019. Question: What is the age limit to apply for UG courses? Answer: Minimum Age Limit: 17 years & Maximum Age Limit: 25 years. Question: How many marks will i get for correct answer? Question: Is there any negative marking? If you have any other query about IMU CET 2019, you can ask us by leaving your comments in the comment box. Sir i want to know that.. I am pursuing btech in mechanical engineering and my batch will pass out in 2019 june .I am eligible or not for the 2019 forms of CET. Is it also applicable to be marine biologist? Is it necessary to have 6/6 vision to join Merchant Navy through IMU CET exam? is it compulasary to have 6/6 vision? What is the age limit for pg courses.as it has given only for ug courses thai is 17 to 25. How many times does imu cet conduct in a year? Is this exam also conduct in December?? Only one time in a year. For marine biologist, this test will be applicable? The examination will be organized through online mode. how to apply or imucet 2018 December test..please help me out in this as soon as possible.I request you. We will provide the link when it will be started. Application form will submit in the fourth week of march but the result of +2 will not declared. What should we do? Sir in the eligibility they told about physical fittness and i am litle bit weak in that topic sooo what can i do sir ???!!!!! Hi i am Rohit i have completed Graduate in 2016, i interested Marchant Navy. I will be completing my B.Tech in Mechanical in 2019. Does IMU CET covers GME course also? sir by the time i will complete my 12th standard i will be 21 years old am i eligible for dns course? also am i eligible for any company’s sponsoeship exam? I have eyesight of -3.5 in both left and right. sir I scored 55%in pcm and 71% in English can I eligible for imucet? Eligibility criteria is mentioned in the article. I am Using eye glass of power 2…. Go through the article for tentative dates of IMU CET 2019. I had appeared for IMU CET 2018 in june and I again want to give it in February 2019 for dns course.Sir,can u please tell me that from when is the application form available and also the site from where we can fill in the form. The tentative dates are given in our article. You can check it from there. Check the percentage criteria mentioned in the article. Sir, can CBSE private candidate apply for IMU and IIT exam. And get their admission in any of IMU and IIT college or university. Sir is imu cet offered Feb batch for BSc nautical science? sir I missed my form in 2018 and got 55% in PCM ,can i apply for exam in 2019 for deck officer post and would i get the better company?? The percentage criteria is 60% in PCM. Sir /Madam if I have 42-in maths ,62-in physics ,60-in chemistry , 79-in English . Then am I eligible for this . Sir is 60% aggregate marks is required in PCM? Sir is this exam conducts twice in a year?? I will be 17 years old on 27 July 2019… Now I am in 12 standard. Can I apply for examination?? I hve 2 questions to ask..
1st- exams of IMU CET are done though online mode, but for that,is there any examination centre will be specified later or we have to go through the online test ourselves though Pc’s?? 2nd- for online counselling, should we hve to visit some centre for counselling through online or that too is being done at home through Pc’s via internet? Yes, the exam center will be allotted for the exam. When will next IMU CET exam conducted would there will be a exam in the December 2018. Sir were the minimum rank required to get admitted in imu collages….??? I am doing 1st year b.tech from government college.can i apply for imu cet 2019 to get imu? Sir I had given IMU CET once but I am not qualified please tell me what should I do next. What is the counselling after the exam is it a type of interview……. Can I apply for IMU in 7th sem btech? In physics and chemistry it’s 60+ but in maths it is not 60+. So please tell me is ilI am eligible, or I should go through retest in mathematics. For IMU CET the percentage criteria is different for each course. However, you can check it in our article. I have glasses with power -2.00 . can i be an eligible candidate for CET. Same form for each programme. Can u please advice if i can change the exam date once booked. Exam center cannot be changed once allotted. 1. If I have glasses and I undergo a surgery to remove them, will I will be eligible for IMU CET???? 2. My age will be 15+ in July 2019 am I eligible???? Yes, you will be eligible. But your minimum age should be 17 years. Visit IMU CET 2018 application form. Which is the online mode though which we have to apply for IMU CET?? Will the centre will be alloted for examination?? ?